One of the absolute fastest ways to start making money on the internet is by becoming an affiliate and promoting someone else's product. With affiliate programs, you don't need to spend months of pain staking research, hard work and money just to create your own product. The problem is that most affiliates don't have a plan for success for the long term . Most people that become an affiliate simply sign up and start promoting the product they want using Pay Per Click advertising (which is great) but constantly eats away at your profits and is NOT a great way to become a successful affiliate for the long run. Affiliate programs are a beautiful thing and a great way to start making money online ASAP. But the real key to long term affiliate success is to start thinking straight about it right from the start! 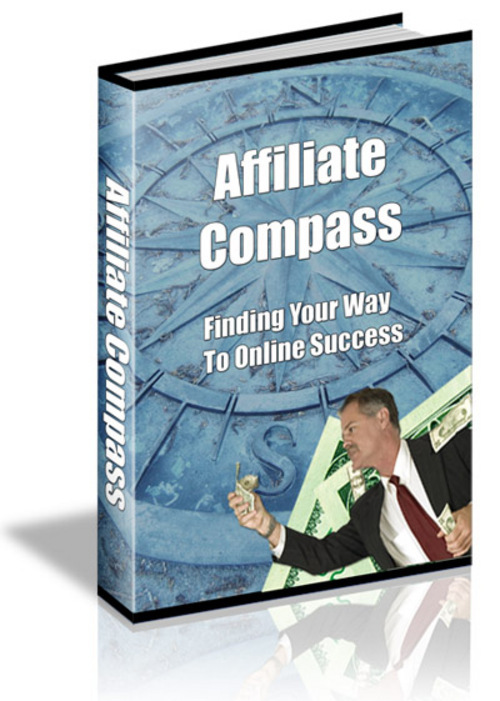 Exactly what you need in order to get on the fast, exciting and extremely profitable road to affiliate success once and for all! Exactly how you can use Blogging to drive massive traffic to the websites you are promoting PLUS what Blog and Ping service to use and how to make sure your Blog keeps people coming back for more. All the things you should watch out for when buying content for your website to make sure you get the best content available and your money's worth. A simple guide to Search Engine Optimization, which is an awesome and very cheap way to get free and extremely targeted search engine traffic that will generate sales! Simple and easy ways to pump your website full of traffic, and exactly where to submit your site in order to drive a great wave of traffic to the affiliate websites you are promoting. Things you much watch out for in order to avoid becoming another affiliate that fell short of success. And much, much more! All new and updated!